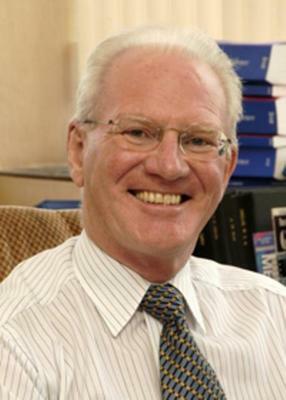 James Shepherd was principal investigator of the West of Scotland Coronary Prevention Study (WOSCOPS), with his colleagues Cobbe, Ford, Isles, Lorimer, Macfarlane, McKillop and Packard. Shepherd's career interests were the investigation of factors responsible for the development of coronary artery disease and he was, in particular, interested in the role of heredity and the environment in the regulation of the levels of fats (like cholesterol) in the blood. "A more liberal primary prevention strategy which deals with the totality of an individual's risk (including smoking, blood pressure, obesity, sloth, and lipids), yet deploys expensive drugs more liberally but at lower doses than required to achieve guideline target lipid values, will still save more lives." WOSCOPS, a randomized double-blind placebo-controlled trial that included 6595 men between the ages of 45 and 64 with elevated LDL-cholesterol levels, was based in Glasgow and reported its findings simultaneously at the Annual Conference of the American Heart Association and in the New England Journal of Medicine. The study showed that treatment with pravastatin significantly reduced the risk of first-time heart attack and death in a sample of men with elevated cholesterol but no previous evidence of heart attack. Earlier meta-analyses had showed that pravastatin had the same effect with patients who had already experienced a heart attack but the WOSCOPS study paved the way to statins being used as a preventative measure. In 2004 the UK became the first country in the world to have statins available without prescription. Shepherd, J . and others. 1995. Prevention of coronary heart disease with pravastatin in men with hypercholesterolemia, the West of Scotland Coronary Prevention Study. New England Journal of Medicine. 333:20:1301-07. Shepherd, J. 2001. The statin era: in search of the ideal lipid regulating agent. Heart. 85:259-64. World Changing Project, "First evidence that cholesterol-lowering statins can prevent the development of ischaemic heart disease in apparently healthy individuals ," in University of Glasgow World Changing (University of Glasgow, 2010); http://www.worldchanging.glasgow.ac.uk/article/?id=94 (accessed April 22, 2019). World Changing Project. "First evidence that cholesterol-lowering statins can prevent the development of ischaemic heart disease in apparently healthy individuals ." In University of Glasgow World Changing. University of Glasgow, 2010. http://www.worldchanging.glasgow.ac.uk/article/?id=94 (accessed April 22, 2019). World Changing Project. "First evidence that cholesterol-lowering statins can prevent the development of ischaemic heart disease in apparently healthy individuals ." University of Glasgow World Changing. University of Glasgow, 2010. 22 April 2019 <http://www.worldchanging.glasgow.ac.uk/article/?id=94>.